If you are looking for a super fun new game for your youth ministry, you need to check out Flappy Crowd. You may not be able to get Flappy Bird in the App store any more, but you can still get your students playing a fun version on the screen in your youth room. 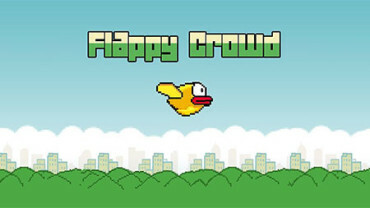 Get the crowd flapping to keep the bird in the air and collect coins and power ups. Check it out over at DYM.